Jill at the 2008 Iditarod Trail Invitational. Photo via Jill’s Blog. Jill Homer’s bike racing palmarès read like a checklist of some of the world’s foremost ultra-endurance and adventure racing events. They include the Ititarod Trail Invitational snowbike race, Great Divide Race (for which she’s the women’s record holder), TransRockies, Stagecoach 400, and many more. The 32 year old California transplant (by way of Alaska and Utah before that) lives for adventures that push her to her mental and physical limits. We discussed her path from not even owning a bike in her early 20s to ultra-endurance cyclist, her attraction and need to explore her personal limits through endurance racing, her new pursuits as an ultra-marathon runner, and more. I gather that bike touring was your re-entry into cycling as an adult. What was your introduction to touring and what was your first tour like? I didn’t even own a bicycle when I was in my early 20s, but in the spring of 2002 I saw a man riding a fully loaded touring bicycle up Spanish Fork Canyon in Utah and thought bicycle travel sounded like a great idea. My first tour was in the fall of 2002, after spending the summer “practicing” on my new Ibex Corrida touring bike. We rode for 14 days around a 600-mile loop of roads in southeastern Utah and southwestern Colorado, exploring the deserts and high mountain passes of the region. It was a life-changing experience. How did you go from casual bike tourist to ultra-endurance racer/adventurer? I really fell into racing by accident. I had just moved to Alaska in the fall of 2005 and was looking for a hobby to stay active during my first long winter. I dabbled in cross-country skiing and didn’t really enjoy it, but then I came across a brochure for the Susitna 100, a 100-mile race on the Iditarod Trail that included running, skiing, and much to my surprise, biking. “Bikes on snow, what a great idea!” I thought. I had never so much as competed in a casual 5K, but my growing interest in snow biking led to me entering and finishing the Susitna 100 in 2006. I still find it humorous that my first race ever was a grueling 25-hour slog. But by then I was addicted to the endorphin stream and went looking for summer events so I continually had a good excuse to ride my mountain bike every day. I found 24-hour racing, then multi-day winter racing, then bikepacking, and finally ultrarunning. Great Divide Race 2009. Photo via Arctic Glass Press. Did living in Alaska help foster your growth as an endurance athlete and adventurer? Alaska is a great place to train for these types of events. Alaska’s conditions are never easy — you’re either dealing with extreme weather, remote trails, rugged terrain, wildlife sightings, or all of the above. It’s not necessarily the best environment for developing a typical fitness routine, but the character-building aspect is unavoidable. You’ve got some serious cycling accomplishments under your belt at this point. Are there favorite adventures that stand out above the rest? I still consider the Iditarod Invitational a defining moment in my adult life and my hope is to go back to the trail someday on a self-supported expedition. 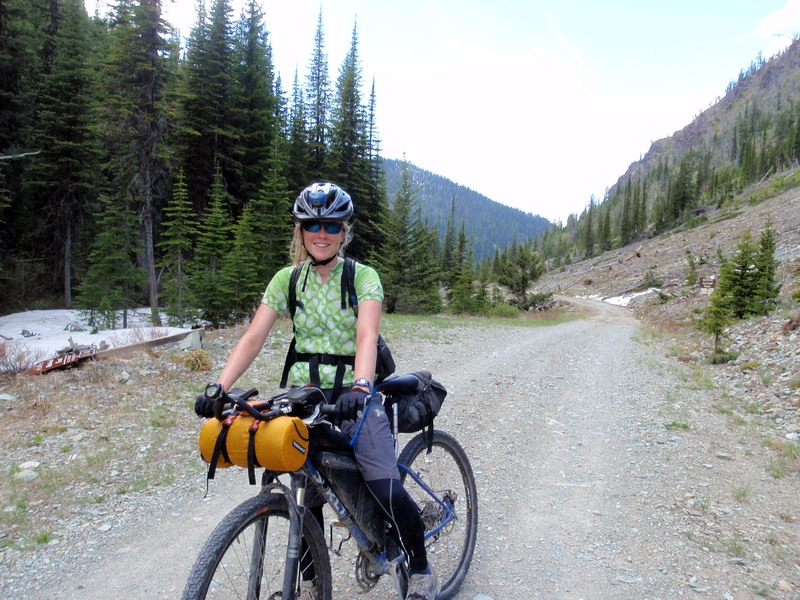 The Tour Divide was also an intense life experience. I’ve been getting into running more recently, which has afforded me a host of amazing new opportunities. Just last November I competed in a stage race in Nepal with Racing the Planet, traveling more than 200 kilometers through the amazing culture and mountain scenery of the Himalayan foothills. It’s awesome to find the fitness to do things like this. In my mind, I’m still just a bicycle tourist/backpacker who likes to visit new places while pushing my personal limits. In that vein, pushing yourself to your physical and mental limit over many hours, days, or weeks is not exactly your average joe or even average cyclist’s idea of fun. What attracts you to this form of riding? There’s a cliche in endurance sports that if you don’t already get it, you’re probably never going to get it. I enjoy going out for fun rides, but the rewards of meeting a challenging goal or really putting my entire self out there is on a whole different level. When I was a child and young adult I had success in academics and in the workforce, but these successes pale in comparison to the personal fulfillment I’ve gained from my activities in the outdoors. I think in a way it’s a manifestation of who I am at a primal level, whereas the traditional measures of success don’t resonate as deeply in me. Pursing these adventures helps me feel complete, and it’s difficult to imagine living my life any other way. Jill’s new endurance pursuit. Photo via Jill’s blog. 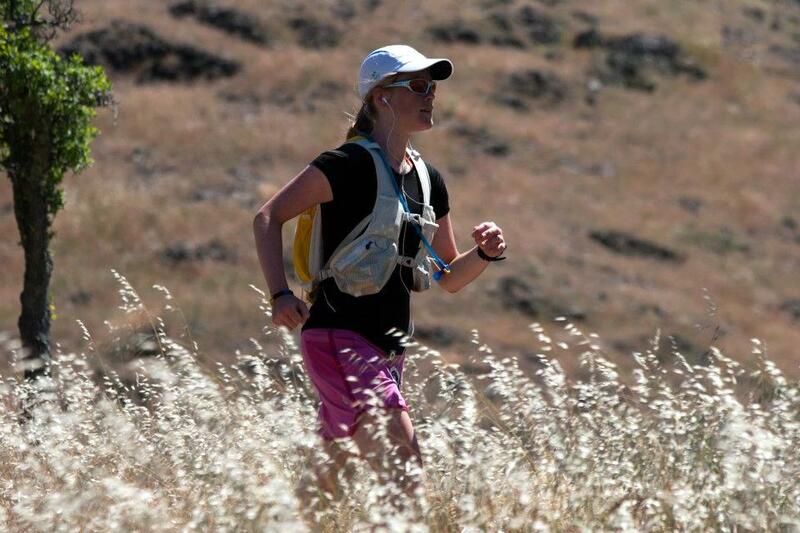 As you mentioned earlier, you’ve recently started tackling off-road running ultra-marathons. Is this your transition away from cycling? A form of cross training? Just another way to push your limits? Running is another way to expand my opportunities for exploration. Bicycling can be somewhat limiting; you can’t ride a bike everywhere, but you can go anywhere on foot. I also really enjoy interacting with the ultrarunning community. Racing has exposed me to a whole new group of fun, equally quirky and dedicated people and sparked a few great friendships. It’s also helped me improve my fitness and skills that I hope to someday take to non-racing venues, like fastpacking the Colorado Trail on foot or trekking across the Brooks Range in Alaska. What upcoming races, tours, or other adventures to you have planned for the near future? Do you have any “bucket list,” lifetime adventure goals? I’m always dreaming up new and crazy ideas, some of which are arguable that I’d actually want to do them, even if I could make them happen. One of these is riding a fat bike to the South Pole on the McMurdo ice road. The logistics, cost, preparation, and questionable enjoyability of a tour like this makes it utterly irrational — and it’s true that the costs both monetary and physical probably far outweigh the benefits. Still, I think about it often. I’d love to ride a bicycle on China’s Silk Road and in Mongolia, trek across the Himalayas, ride the high mountain passes and vast deserts in South America, do some less-technical mountaineering in Alaska such as the traditional route up Denali. Really, I’d be up for anything. Given unlimited resources and time, I don’t think I’d ever run out of adventures or interest in pursing them. One thing that’s true for me is that I definitely view racing as a stepping stone, a way to transition between inexperience and self-sufficiency, on top of challenging myself and engaging with people of a similar mindset. It will be interesting to see whether, in the future, I continue racing or branch out more into self-supported adventuring. I suspect the latter, although for now I am really enjoying my experiences in endurance racing. 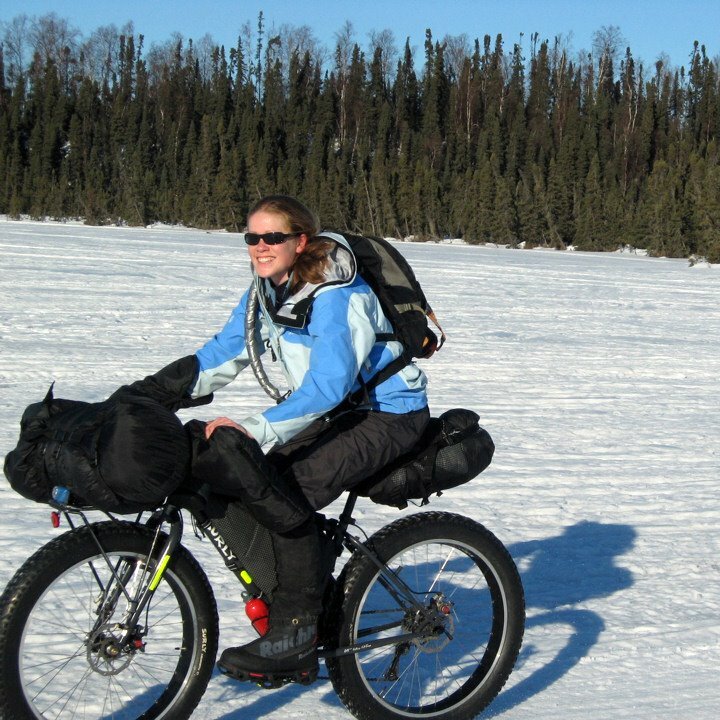 This entry was posted in Bike Touring, Interviews, Racing and tagged adventure racing, alaska jill, bike touring, bikepacking, jill homer, snow biking, tour divide, ultra endurance cycling, ultra running. Bookmark the permalink.